Small black metal framed planter in house shape. Quirky design that can be used indoors and outdoors. Wire frame with wooden box insert for housing plants, herbs or pretty little flowers. Display in the garden on in the living room or kitchen. Fun and funky design that will make a great gardeners gift. 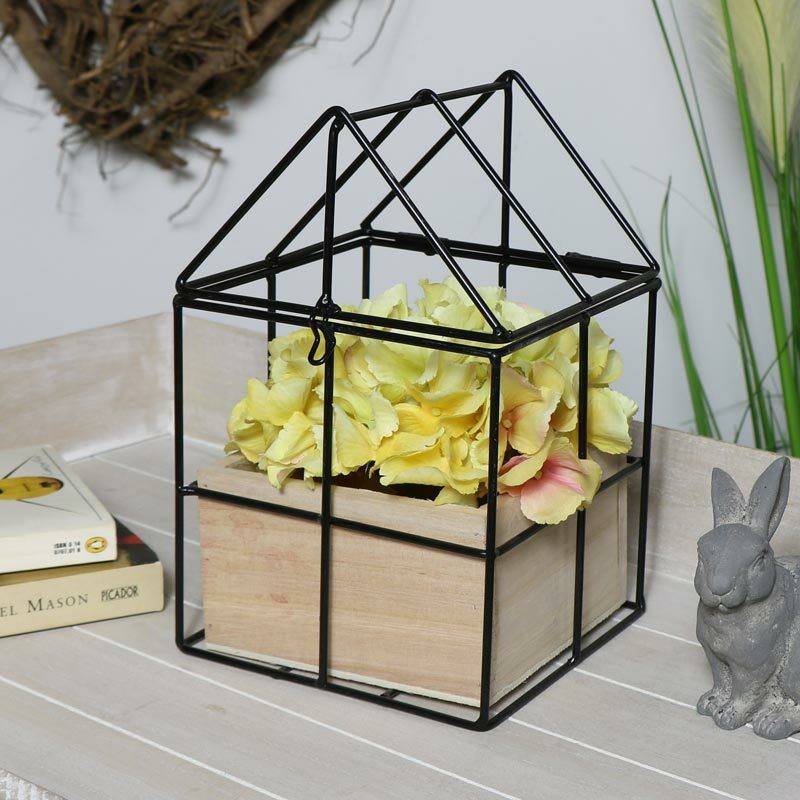 Small black metal framed planter in house shape. Quirky design that can be used indoors and outdoors. 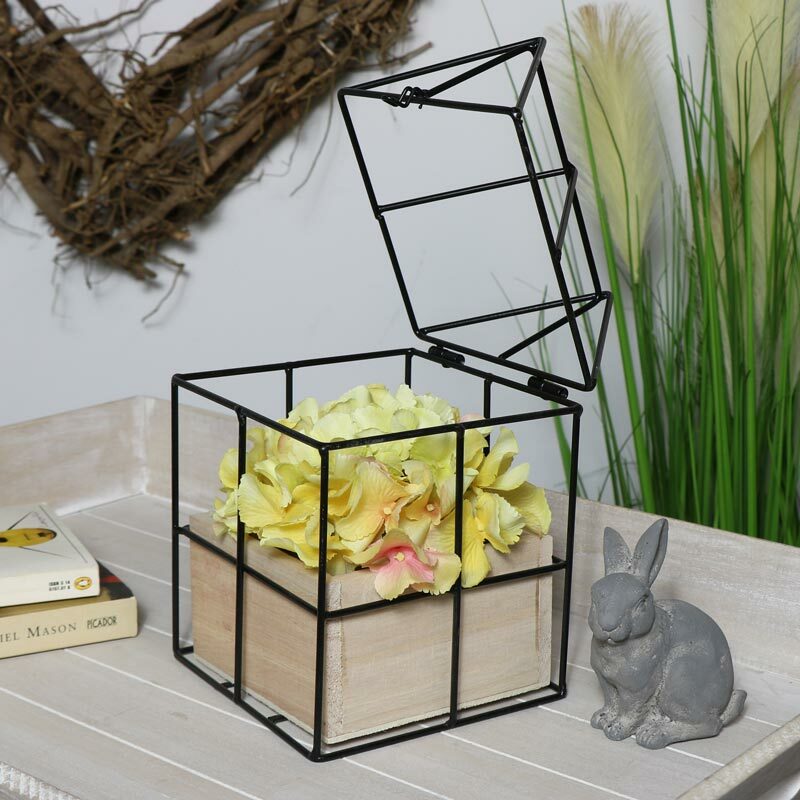 Wire frame with wooden box insert for housing plants, herbs or pretty little flowers. Display in the garden on in the living room or kitchen. Fun and funky design that will make a great gardeners gift. 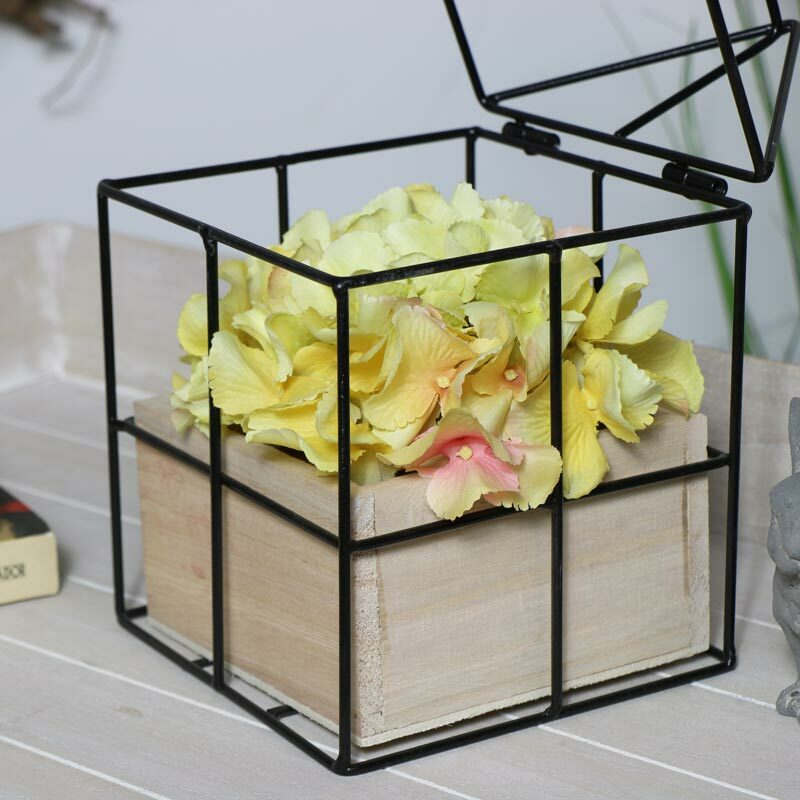 Made with metal frame in black finish with wooden planter bpx. Freestanding design with hinged roof top for access. A fantastic addition to our growing selection of home and garden accessories.